You can definitely picture John Cena in the DC Universe. The Suicide Squad is being described as more of a reboot than a sequel to the 2016 David Ayer hit—but considering it’s bringing back anyone at all, one has to assume there will be some kind of connection between the two films. 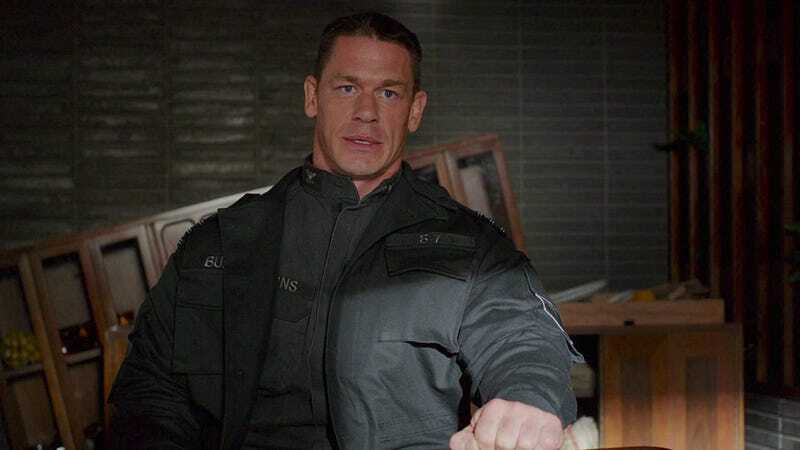 As for Cena, he has yet to appear in a superhero movie universe, though he’s is coming off a turn in Bumblebee and will soon play a spy in The Janson Directive, produced by Dwayne Johnson. You have to wonder if Johnson, who will eventually play Black Adam in the DC Universe, had any hand in bringing his fellow wrestler-turned-actor into the fold. The Suicide Squad hits theaters August 6, 2021. This article was updated with additional information provided by Variety.